Clear all jellies and reach 45000 points to complete the level. This level has hard difficulty and you need to break all jellies that are under chocolates which blocked by meringue blocks. 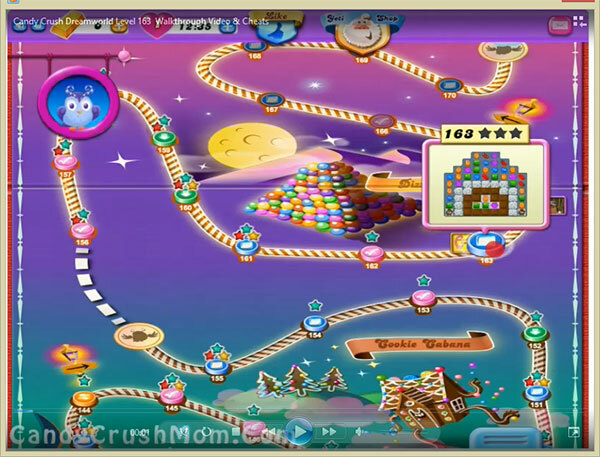 For this level you should try to play near to chocolates or make special candy or combo to break all chocolates with jellies. You should also focus on balancing the Odus owl while playing with special candies and try to play till last move. We completed this level with 181040 score by using special candies and got colorbomb that help to break chocolates and then jellies plus we got three star score.